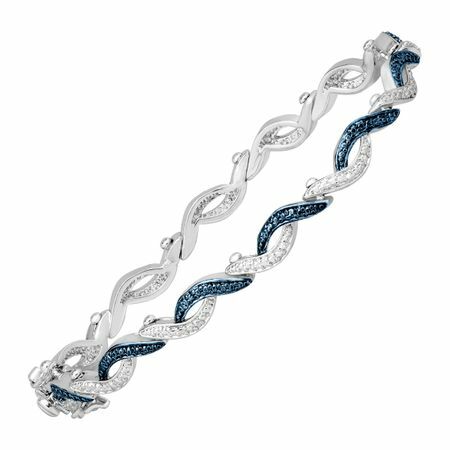 For a sleek, modern complement thats always in style, this tennis bracelet is the perfect example. An updated wave design is enhanced with a blue diamond accent in a setting of sterling silver over brass, finished with a safety clasp. Piece measures 7 1/2 inches in length. Colored diamonds may have been treated or enhanced by heating or irradiation.